A couple of years ago, Google began testing a new ad format that helped businesses that provided local services find leads. These early efforts must have shown promise, as Google is now ready to expand the test. The original testing area was limited to a few cities, but now 17 cities can use the ads and Google plans to expand to 30 U.S. markets by the end of the year. 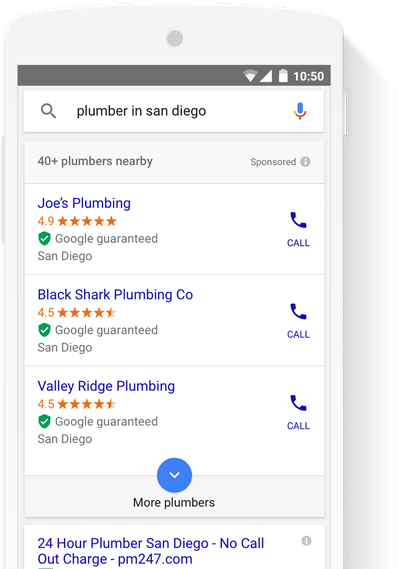 Google’s Local Service Ads were designed to help businesses like plumbers or electricians get more leads from search ads. Advertisers who met certain requirements would get better ad placement and there ads would have more features geared toward local lead generation. Here’s how they work: When people search for local services in their area, businesses that use Local Service Ads will have them featured at the top of Google Search results. Right from the ad, potential customers can either call or send a message to the business. Since the business is notified immediately whenever someone engages with the ad, It’s an effective way to generate leads. Using Local Service Ads several additional benefits. Businesses that meet the requirements for the program get to offer a “Google Guarantee” in their ads which immediately builds trust. And because of the way the ads are set up, business owners will only pay for leads for their services. This new expansion brings these ads to places to major markets like Miami, Dallas, Boston and more. The ad format has been very helpful for early adopters. “Every day I get new customer requests from Local Services,” wrote Norm, a local service provider from Foster City. Besides expanding to new cities, Local Service Ads are also getting a few updates to make things easier for the ad creators. For example, users can now manage their campaigns and appointments through a new Local Services app on iOS and Android, instead of through AdWords Express. Additional new features include the ability to control the number of leads received through the program by pausing and enabling ads in the app. Businesses that meet the requirements will get a personalized profile page which shows reviews, contact info and select unique aspects of the business. Reviews can come from multiple sources, but all will have to be verified by Google. All of these perks come at a cost. Beyond the typical costs associated with any PPC ad campaign, businesses that want to Google’s Local Services Ads will need to go through a vetting process. This can be time consuming and expensive depending on the size of a business. For example, every employee has to have a background check. This is necessary if Google is going to guarantee the work of the businesses who will be going to a customer’s’ home. To see the areas that can use Local Services Ads, visit the AdWords help section. You will also find out more about the requirements needed to qualify for the program. Establishing trust in the digital age is important and using this ad format lets local businesses use Google’s credibility to their advantage. 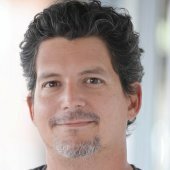 To see more news about Google AdWords, read this article on new formats coming online in time for the holidays.